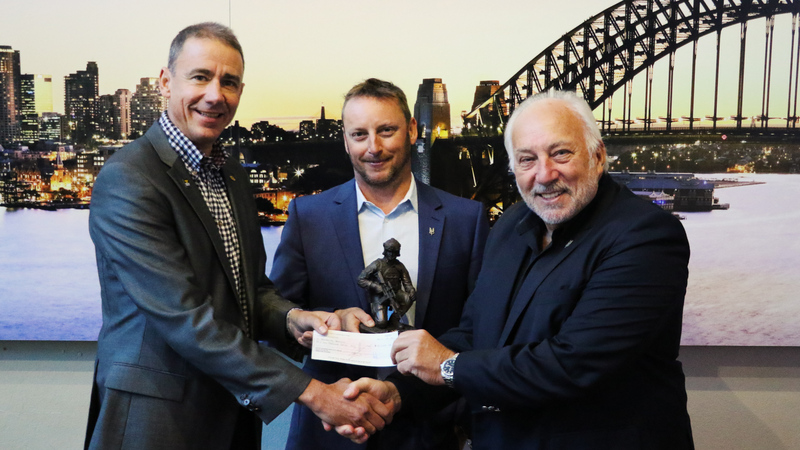 Following the success of the Anzac Day Dawn Service on the top of the Sydney Harbour Bridge, Wandering Warriors is extremely grateful for the donation of the event’s proceeds from BridgeClimb. Last week, CEO of BridgeClimb Sydney, Mr Todd Coates, presented the cheque for $10,000 to our NSW Manager Mike Whitelaw and CEO Bob Brett, MC. The generous donation will directly support our programs of Mentoring, Education, Employment and Respite for veteran’s and their families. Wandering Warriors sincerely appreciates the support of those that attended the Dawn Service and BridgeClimb. 3 ½ – 4 hour Climb experience. Max. 14 people per group. You will ascend via the eastern and western arches (this will vary for each Climb group) and will experience an Anzac Day Service at the top of the Bridge.